Hailing from Bloomington, IN, Merridee Lamantia calls herself a dimensional designer and is concerned with intimate examinations of space. 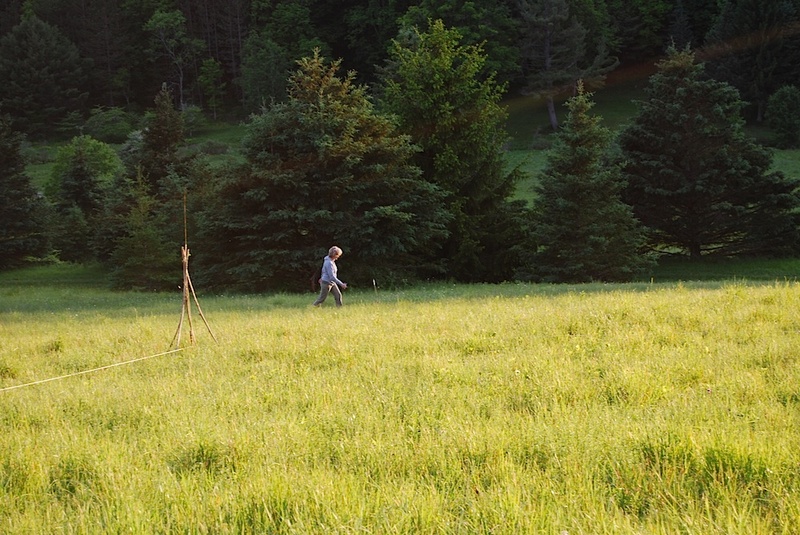 She’s completed two consecutive residencies at Zelený Les. 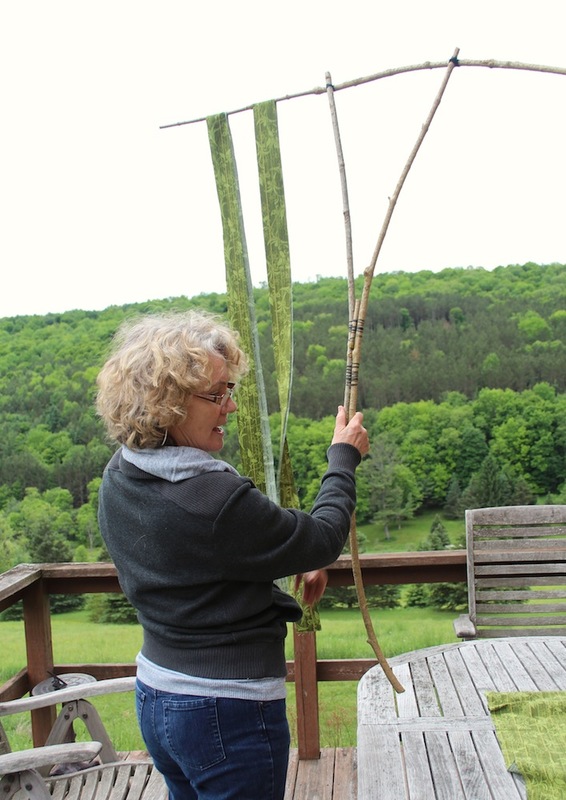 It’s plain to see how her deepening relationship with the land and the particularities of the site have become manifest in her latest work, reflecting new ways of expressing her signature vocabularies of line, form and movement. 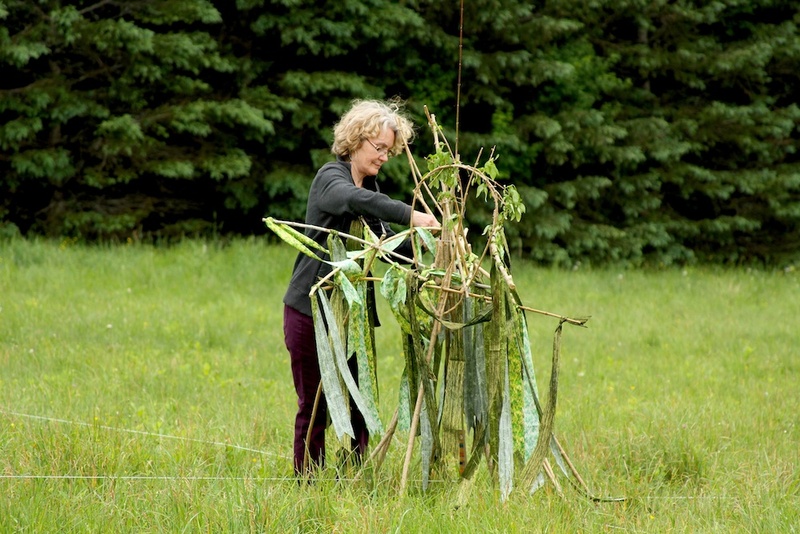 For her June 2015 residency, Merridee chose an open field in which to create. She selected and marked a center point, plotted an expansive circle, and inscribed within it four equal quadrants, creating her version of a mandala for walking meditation. Merridee’s intention was to complete one circular rotation of the mandala for each year of her life. 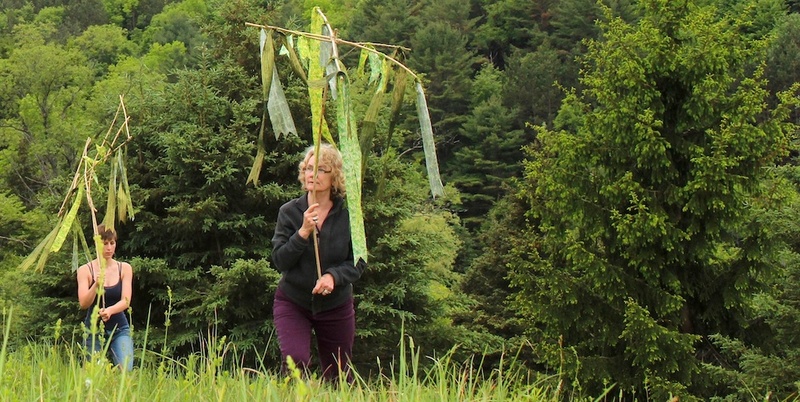 Conceiving a performance that would further animate the field through site-responsive objects, sound, movement, and human participants, Merridee returned to her use of willow branches as a flexible and abundant material and began by fashioning sculptural forms reminiscent of the types of ceremonial staffs used in ritual pageantry. 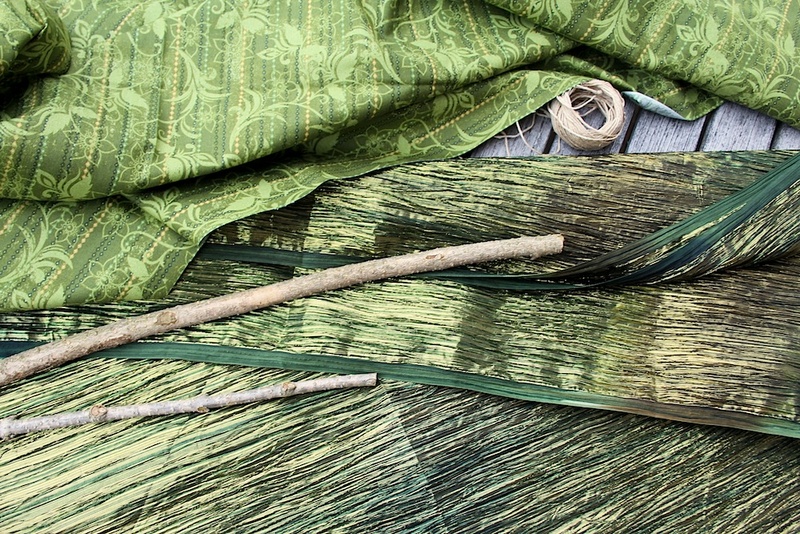 The result of her handwork was a set of staffs incorporating strips of fabric that mirrored the hues of an early June landscape, one for each of the participants in her walking performance. Mandala in Motion involved a circumambulation of six walkers around the outer path of the mandala and throughout the interior four-way axis. 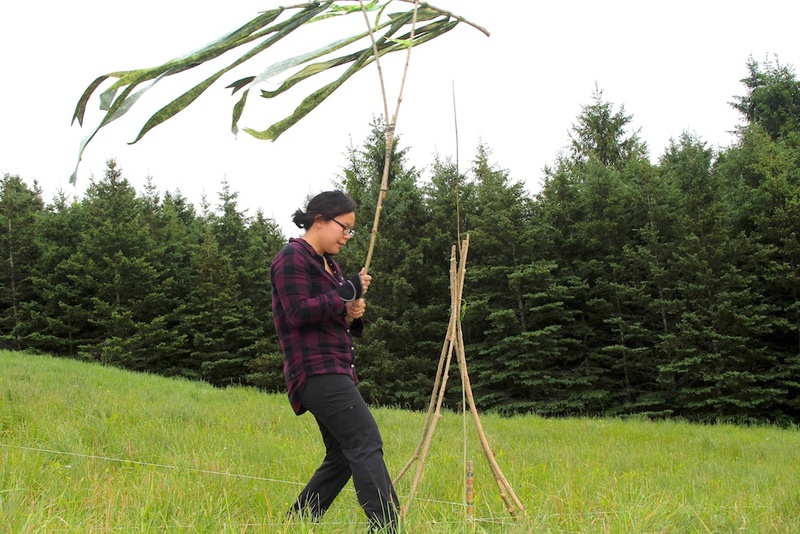 Merridee supplied two performance objects that she asked walkers to pass to each other as they moved by in opposite directions: a small bundle of willow, and the artist’s phone playing the recording of a chant by the Dalai Lama. See time-lapse slide show below of Mandala in Motion. Performers: Janette Chien, Nadia Friedler, Wayne Kleppe, Greg Lookerse, Joe LaMantia, Merridee LaMantia. The piece ended after each walker completed a full walking sequence and converged at the center, where they placed their staffs in a free-standing collective artifact of the performance. Merridee had a few remaining laps around her mandala before leaving Zelený Les. 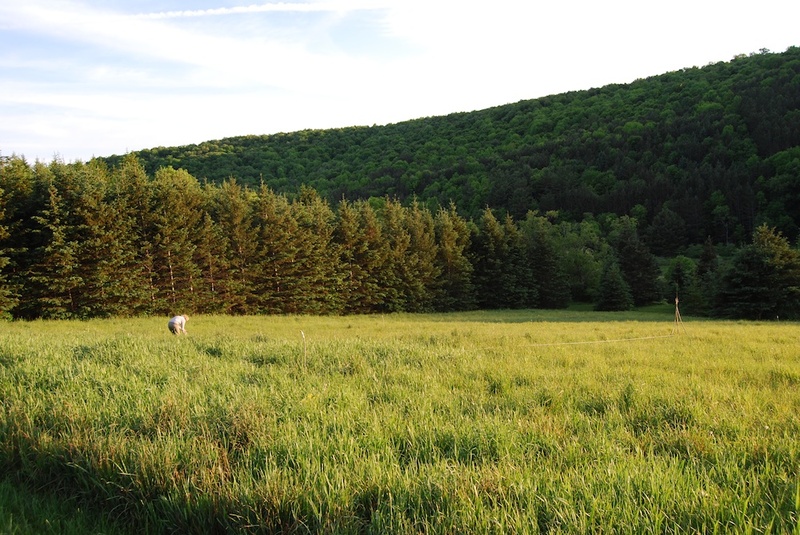 For the last few, she invited her husband and residency artist Joe LaMantia to accompany her. See video below. 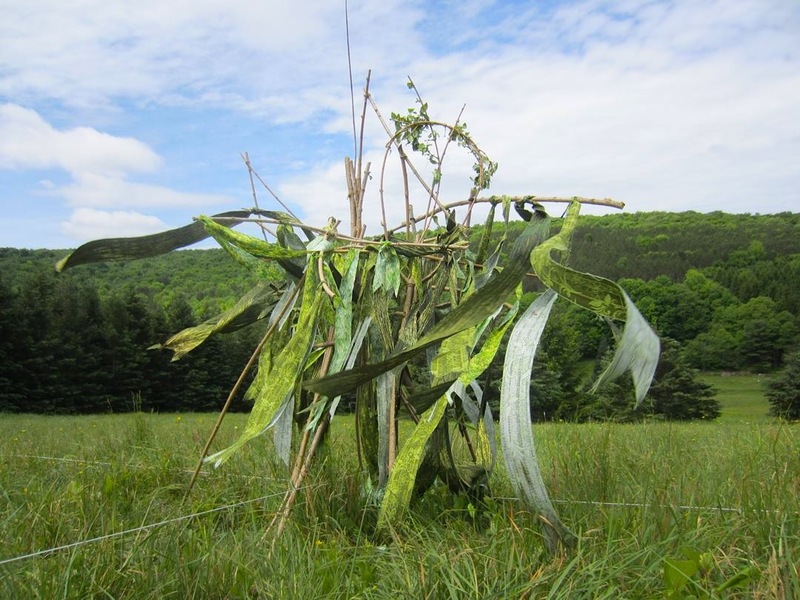 This entry was posted in Blog post by Catherine Tutter, Residency artists and tagged 2015 Zelený Les Artist Residency, Merridee LaMantia, Performance, Sculpture on December 29, 2015 by Catherine Tutter.